Q. Where are the Auditions? Q. Do I need to attend more than one audition? No, you only need to attend one of the scheduled times. 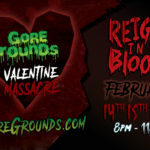 In the event that you are not able to make any of the dates, we may be able to make other arrangements. This is a very busy time for us and our time is limited. Q. How old do you have to be to become an actor? We ask that you be at least 18 years of age to be an actor at The Haunted Elementary. If you will be 16-17 during the Haunted House season, we do require that you have a parent or legal guardian sign your paperwork. If you are 12-15 you are able to act at The Haunted Elementary with a parent or guardian. We currently have many parents that act with their children and have a lot of fun. Q. What do I have to bring to an audition? 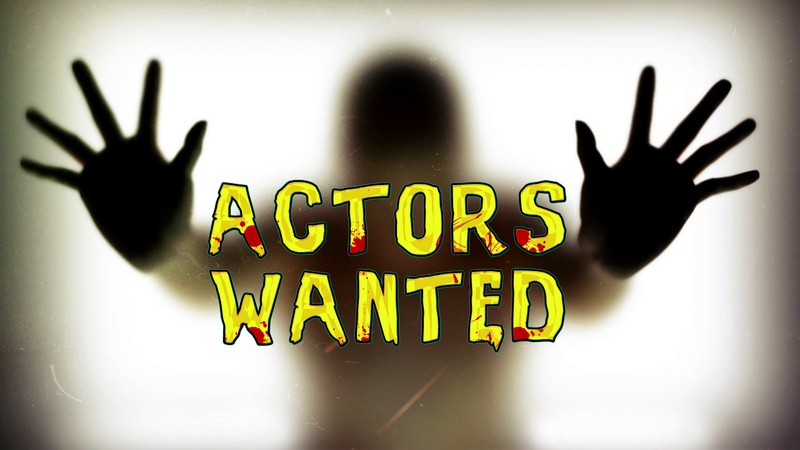 For an audition at The Haunted Elementary, you will need photo identification and general contact information. Instructions will be given for later needs. Q How long do auditions take? Auditions take about 20-30 minutes total. Q. What is the audition process? You will have our basic setting and expectations explained, then given an opportunity to show us your best interpretation. When you arrive you’ll sign in and fill out some brief paperwork. Then groups of about 2-6 people will be taken back into the show to perform three types of scares. 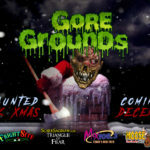 We will show you the basic types of scares and then give you the opportunity to try them. An overview of the types of scares and how to perform them will be given. You will then be informed when call backs will happen. When you are done, you are free to ask any questions and we will do our best to answer them. All we ask is that you wear black or dark comfortable clothing. Q. Can I bring my own costume? We prefer that anyone auditioning come in plain clothes and without “haunted” makeup. We already have all the costumes that fit this years theme. If you have a costume or character in mind, go ahead and bring it along to share. Q. If I have taken any drama classes, would that help? We have every kind of actor here at The Haunted Elementary, from seasoned stage performers, to those who have never set foot on stage. Everything helps, but we welcome all levels of actors. Q. How many days would I have to commit to become an actor? 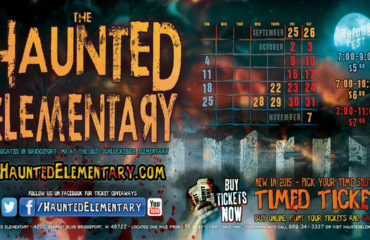 To act at The Haunted Elementary and get the full experience of our haunted house, we ask at least 3-5 days as an actor. Q. Do I have to read a script or have a monologue prepared for auditions? No prepared material is necessary. Q. Does The Haunted Elementary pay? Acting at The Haunted Elementary is considered a volunteer position, but it has a ton of perks. An incentive compensation plan is offered based on how often you attend. Plus we have great meals most nights, prizes and events all year long. Q. Is there a position available I can do that isn’t about acting or scaring? Yes. We understand that acting or scaring may not be everyone’s ‘thing’ but yet you would still like to be part of our Haunt family. Our Casting Director team can offer you more information on this. Q. I have a group of teenagers that need volunteer hours for one night. Can we Volunteer? Yes. We have a one night Volunteer Program for just that. Contact us at HAUNTEDELEMENTARY@GMAIL.COM for more details. Q. How do I audition to be apart of SECURITY?